Maxilla Khachatryan Grigor MD, PhD1, Khachatryan Levon DDS2, Hakobyan Gagik DMSc, PhD3*, Arman Seyranyan DDS4 1Associate Professor, Department of Oral and maxillofacial surgery Yerevan State Medical University after M. Heratsi, Armenia 2Head of the Medical center MIM (Medical center of maxillofacial and plastic surgery), Yerevan, Armenia 3Professor, Department of Oral and maxillofacial surgery Yerevan State Medical University after M. Heratsi, Armenia 4Assistant Professor Department of Oral and maxillofacial surgery Yerevan State Medical University after M. Heratsi, Armenia 1. Despite the available publications on the successes achieved in dental implantology, the problem of rehabilitation of patients with significant atrophy of the upper jaw remains relevant. Bone resorption often making it impossible to place conventional dental implants in the posterior maxilla1-4. Many different surgical procedures have been developed to increase local bone volume in deficient anatomical regions, including total/segmental bone on lays and grafting of the maxillary sinus with autogenous bone and/or bone substitute5-8. The sinus-lift procedure with bone grafting is one of the solutions that can be executed to solve this problem. 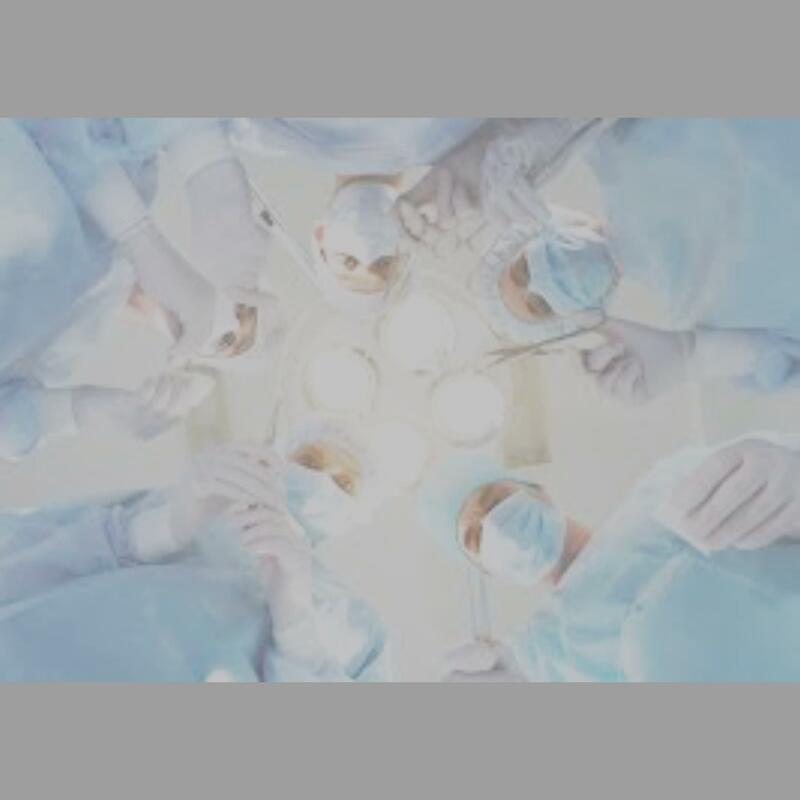 This procedure has gained popularity over the recent years but it has its own drawbacks like requiring a double surgical site with consequent increase in patient morbidity. However, with this procedure, there remains the risk of perforation of the sinus membrane as well as a possibility of resorption of the graft around the implant. Apart from this, the procedure may be complicated in patients with chronic maxillary sinusitis 9-12. Bone grafting, whether autogenous or allogenous, carries with it a risk of complications that include the harvesting procedure itself (for autogenous grafts) and the possibility of graft infection, poor flap closure, dehiscence and resorption of the graft13,14. Many patients seeking treatment with osseointegrated implants meet the situation of severe resorption of alveolar bone and often they do not want pass thru a reconstructive surgery (increases morbidity, hospitalization, increases the treatment time, costs, surgical risks and other). Modern tendencies of dental implantation are aimed at minimizing surgical trauma and reducing the time for rehabilitation of patients. In this connection, new implant technologies without bone plastic are becoming widespread, which allow to reduce the volume and quantity of surgical interventions and shorten the time of treatment.. Dental implants placement in the tuber and zygoma area is one way to overcome the problem of insufficient bone volume for routine implant surgery in the posterior maxilla due to severe resorption of jawbone and an extensive enlargement of the maxillary sinus. Compared with major bone grafting, it is still a less invasive technique and can be used in cases where bone grafts cannot be harvested for some reason 15-25. The dental implants placement in the zygoma area were first developed by Brånemark for the prosthetic rehabilitation of patients with extensive defects of the maxilla caused by tumor resections, trauma or congenital defects26. The zygomatic implant is located on the crest of the alveolar bone, passing thru the sinus cavity, guided by the zygomatic pillar, reaching the zygomatic bone27-29. This protocol was modified by Stella & Warner, that developed the slot technique meaning to help the visualization of the angle and position allow local anesthesia surgery30. The success rate for zygomatic implants obtained by different authors varies between 82% and 100%31-39.However, many complications have been reported in the literature, with sinusitis being the most common40,41. The aim of this study was to evaluate the survival rate at dental implants placement in the tuber and zygoma area of the maxilla. The present study aimed at investigating the 5- year clinical treatments outcomes a 28 patients (12 males and 16 females, the age was 43 to 62 years, from 2012 to 2017), who had edentulous atrophic maxilla. Before the implantation, the patient was examined and a comprehensive examination and treatment plan was drawn up. Clinical, laboratory, radiological methods were used in the examination of patients. Preoperative radiographs including cone beam were obtained for initial screening and evaluation. The treatment plan includes detailed analysis of space for restoration, bone quantity and density, radiographic techniques, selection of number, diameter, and length of the implants, and occlusion. A total of 72 Ankylos implants (Dentsply Implants, Germany) had been surgically placed in the tuber regions, 68 long Ankylos implants(16mm.) placement in the zygoma regions and 136 Ankylos implants (Dentsply Implants, Germany) implants in adjacent areas to support fixed dental bridges. Postoperative therapy included antibacterial, anti-inflammatory drugs. According to patient desires and each clinical situation metal-acrylic or metal-ceramic prosthesis was inserted 4-6 months after implant placement. Postoperative clinical and radiographic controls were made regularly, the criteria for implant success were assessed. Outcome measures were: prosthesis success; implant success; complications; probing pocket depths; marginal bleeding; and marginal bone levels (only for conventional implants). No intra-operative or immediate post-operative complications were noted. After 5-6 months implant placement evaluation of panoramic radiographies revealed no radiolucency around the implants. All of the patients presented with healthy soft tissue. The mean marginal bone level at tuber regions implants was situated on average 1.8 mm (n=72) from the abutment- fixture junction, the zygoma regions implants showed an average bone level of 1.6 mm (n=68). The average (standard deviation) marginal bone loss on conventional implants was 1.3 mm (n=136). Of the 276 implants placed in these 28 patients, 4 failed to osseointegrate and 6 after 2-5 years of loading. The cumulative implant survival rate at 5 year were 96, 4%. Implants placed in the tuber and zygoma areas of the maxilla demonstrated to integrate normally, with success and survival rates comparable to those obtained in case of implants placed in native bone. This case reports presents a combination of surgical and prosthetic solutions applied to a case of oral implant rehabilitation in patients with edentulism and severly atrophic maxillae. A 46 years old patient, presented to our clinic with a diagnosis of generalized periodontitis of the lower jaw, with edentulous atrophic maxilla. A comprehensive clinical and radiographic evaluation revealed advanced alveolar bone resorption rendering the prognosis of all lower teeth unfavorable. After the preliminary clinical- radiation examination, a treatment plan was defined that included the removal of all the teeth of the mandible and the installation of 8 Ankylos dental implants in lower jaw, the installation of 1 Ankylos dental implants in the tuber regions of the upper jawbone on both sides, the installation of 2 Ankylos dental implants in zygoma process from both sides and installation 4 Ankylos dental implants in the area of 13,14,23,24 distant teeth. 4 months after implant placement prosthetic restoration was fabricated and adjusted. The patient has been followed up for 5 years. So far, no further problem has occurred and the restoration has remained functional. A 54 years old patient, presented to our clinic with edentulous atrophic maxilla and mandibula. 4 years ago, subperiosteal implants and non-removable orthopedic structures were installed. Objectively: exposure of the subperiosteal implant of the upper jaw, mobility and inflammation in the shoulder area of the implant. After the clinical-radial examination, a treatment plan was defined that included: removal of the subperiosteal implants of the upper and lower jaw, after 1 month installation of 2 Ankylos dental implants in the tuber regions of the upper jawbone on both sides, bypassing the sinuses, 5 dental implants in the region of 12,13,21,22,23 removed teeth, installation of 6 Ankylos dental implants in the region of 31.33.34,41,43,44 removed teeth lower jawbone. 4 months after implant placement non-removable metal-ceramic prosthetic restoration was fabricated and adjusted. The patient has been followed up for 5 years. So far, no further problem has occurred and the restoration has remained functional. The development and improvement of alternative methods for restoring the integrity of the dentition with an extreme degree of atrophy of the alveolar crest of the upper jaw is very urgent. In clinical practice it is becoming increasingly common for patients to demand therapies that offer a good final result while at the same time reduce costs, healing time and the temporary inability to work. In connection with this, new implant technologies become widespread, which allow to reduce the volume and number of surgical interventions, as well as to shorten the duration of treatment. The present study shows good clinical outcome with standard implants placed in the tuber and zygoma area of the posterior maxilla using a two-stage procedure. This offers a more simplified treatment approach, a decrease in biological impact and a more comfortable post- surgical period for the patient thanks to a quicker recovery time. Implants through the atrophied upper jaw tuber and the zygomatic process are a good alternative to maxillary sinus lift and to bone grafts in patients with posterior atrophic maxillae. These methods allow: 1. Avoid bone plastic, which is used in conditions of atrophy of the upper jaw when installing conventional dental implants. 2. To shorten the terms of rehabilitation: to produce a fully functional and aesthetic prosthesis. Implantation methods that were used in this work can provide a patient who is not ready for risky, expensive and multi-stage surgical treatment, the possibility of avoiding more traumatic (such as bone transplantation in the patient) and less predictable types of surgical intervention. Carrying out a comparative analysis of the different approaches to the treatment of adentia in patients with severe maxillary atrophy in the area of the maxillary sinus, we came to the conclusion that a reasonable combination of different techniques can be achieved in order to achieve the optimal result.